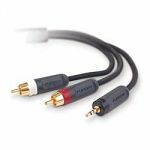 Computers & Electronics :: Computer Cables :: Audio Cables :: Tripp Lite RF Digital Coax Gold Audio Cable (RCA M/M), 6-ft.
Accueil/Computers & Electronics/Computer Cables/Audio Cables/Tripp Lite RF Digital Coax Gold Audio Cable (RCA M/M), 6-ft.
Tripp Lite RF Digital Coax Gold Audio Cable (RCA M/M), 6-ft.
Tripp Lite's premium Digital Coax Audio Cable provides a clean, accurate sound, as well as noise and interference elimination that can compromise your listening pleasure. 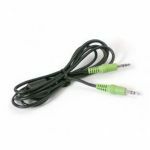 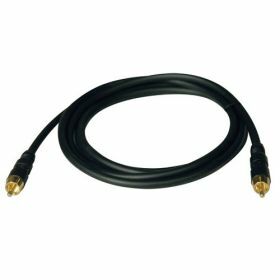 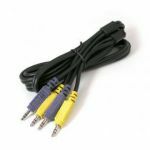 This 6 ft. cable is specifically designed for digital devices, providing better sonic accuracy and more detailed, natural sound. This cable features a 75 ohm coaxial conductor made of 99.99% pure copper, and precision machined, 6-cut Gold RCA connectors, that resist corrosion.